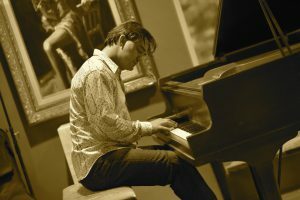 Dave Fleschner, resident keyboardist with the Curtis Salgado Band for six years, performs routinely around the world. 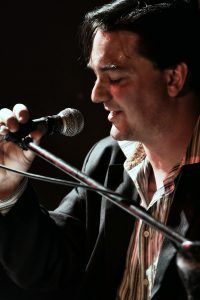 Fleschner has performed with B.B. King, The Pointer Sisters, Steve Miller, The Mel Brown B-3 group and The Portland Symphony Orchestra, to name a few. He has toured internationally with Curtis Salgado, John Nemeth, Karen Lovely and Earl Thomas. He has released several albums as a band leader. In demand as a producer, composer, arranger, music director and as a side man, Dave’s music displays a deep understanding of American roots music. 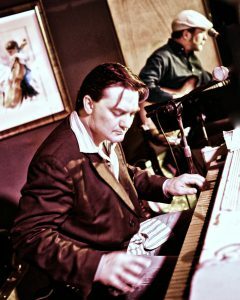 Dave is known as both a pianist and as a Hammond B-3 organ player and performs in a variety of styles. 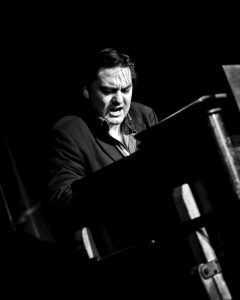 Dave has performed with countless jazz masters, rock stars, blues icons, soul legends, as well as the Portland Sympohony Orchestra. Some of the talent Dave has shared the stage with include: B.B. King, The Pointer Sisters, Steve Miller, Taj Mahal, Robert Cray, Jimmie Vaughan, Charlie Musselwhite, Curtis Salgado, Kim Wilson, Jeff Tyzik, Charles Floyd, Mel Brown, Bobby Torres, Rob Scheps, Willie “Big-Eyes” Smith, John Gross, Warren Rand, Karen Lovely, Dan Balmer, Alan Jones, Paul Delay, Valerie Day, Chris Mayther, Sherman Robertson, Phillip Walker, Andrew “Jr. Boy” Jones, Kathy Walker, Shelly Rudolph, Gary Burford, Duffy Bishop, Monti Amundson, Rubberneck (Sabroso) and many others. You can currently find Dave playing with a variety of different acts. Dave’s theatre and film credentials are also wide ranging. His partnership with playwright, Wayne Harrell, has resulted in three different musicals: “Buried Fire,” “Just This One,” and “Gospel Blues.” He has composed music for Documentaries and short films. He arranged and led the band through 1940′s wartime era “1945, A Christmas from Home” . He has been in the pit orchestra for Jesus Christ Superstar, Always Patsy Cline, and for many of the Portland Gay Men’s Chorus shows. He has also written multiple arrangements for the PGMC, one of which featured an entire concert of his own compositions. 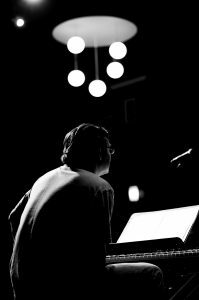 He is the music director for the non-profit – United by Music North America – a performance organization for differently abled musicians. 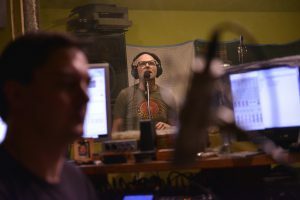 Dave also owns and operates a project studio out of his home, where he acts as both producer and engineer for his own projects and numerous others. He teaches lessons and classes through Clackamas Community College and the Multnomah Art Center, and has been a clinician at College and High School levels. Dave has been profiled in JazzScene, The Statesman Journal, The Oregonian, Willamette Week, The Cascade Blues Association’s “Bluesnotes.” Postitively Entertainment & Dining, The Portland Tribune, Mighty Mouth Blues, The Times Standard, All About Jazz and is a frequent guest performer on Homegrown Jazz with Mary Burlingame, a live broadcast from KMHD, the Portland area jazz radio station. His recorded performances and compositions can also be heard frequently on KMHD. Dave endorses Nord Keyboards and Quicklock keyboard stands.